On 26th October started the 58th edition of the prestigious DOK.Leipzig. 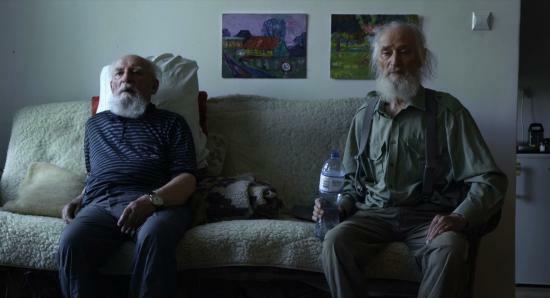 One of the Polish representatives at this year's Festival in Leipzig is the latest film by Wojciech Staroń, "Brothers," which will compete for the Golden Dove in the International Competition. "Simplicity is the essence of things - these words come to mind when you watch "Brothers." It is a simple, modest film, avoiding showing off its technique and using flashy formal tricks. 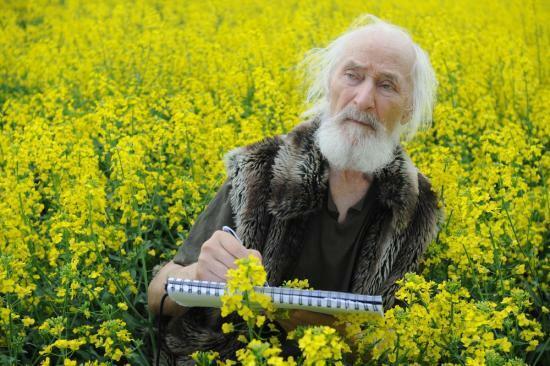 In all this, Staroń seems to be close to the most beautiful tradition of both the world and Polish documentary cinema under the banner of Robert Flaherty and Władysław Ślesicki, close to the cinema which primarily searches for and discovers the truth about man. In "Brothers," the documentary film-maker portrays the unhurried, everyday existence of the Kułakowski brothers." The full text of the review is already available on our website. Daniel Stopa: When we last talked about "Brothers," you were starting to work on the editing. I remember that you told me the multilayered story of the Kułakowski brothers, I watched fragments of the archival materials and paintings by the younger brother. Having so much material at your disposal, which key did you choose to tell this story? Wojciech Staroń: When I started to participate in the Kułakowski brothers' life with my camera, I knew a lot about them, we were very well acquainted. At the same time, in my mind I was creating a story, inspired by the observation of their life. "Brothers" can be called a documentary film, but it seems to me that this designation flattens the history of the film, in general, such a label oversimplifies understanding of the film. In my view, "Brothers" has more elements of a feature film than a documentary, because this film has strong protagonists, consistent dramaturgic and formal structure. Unfortunately, such consistency is not required of the majority of documentary films. 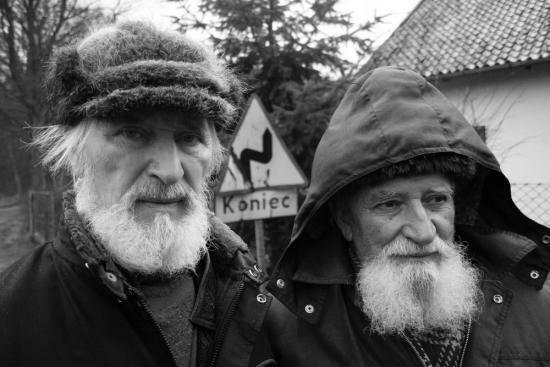 Long years spent with my camera at the Kułakowski brothers' and the editing was the process of writing the story, searching for the overriding issue, the universal message, and in the end, these seem to me to be brotherhood as well as the brothers' search for beauty in life. Archival films were both beautiful as well as they constituted a very difficult matter to function, to live in the entire film. From the very beginning I wanted them to tell about emotions, to widen the time and space in which the protagonists live, but not to describe, inform or simply explain. Their role in the film is to live through the past. These films belong more to Mieczysław. In turn, painting is Alfons's element. Alfons painted everyday life, and Mieczysław filmed it. This juxtaposition allowed me to understand their distinct attitudes to life. 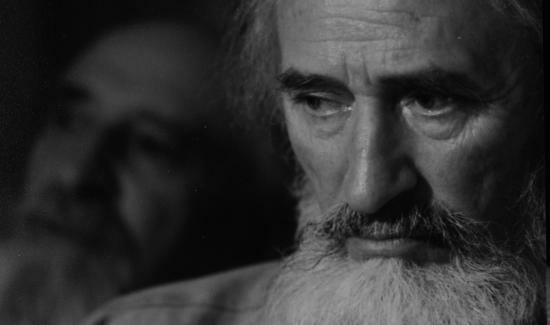 Each of them experienced life and perceived the world with the same intensity, but they reacted in a different way, different things were important to them: to Alfons it was art, and to Mieczysław - everyday life, his family, his brother. Juxtaposition of these two different textures, painter's and of the amateur film, works not only in favour of the structure of the whole, but, first and foremost, shows the brothers' inner world. The making of this film was a constant process of elimination - of threads, events, action, spare framing, limiting the dialogues, minimalist and suggestive sound. What it is about is some kind of simplicity, rejecting the purely informational layer in favour of emotions. For me, a good film is a stream of the protagonist's emotions, into which we can sink and live his life together with him. It has always seemed to me that if one devotes so much time and energy to making a film, it is worthwhile to portray people who give something good to the world, positive energy, to portray people who carry the light inside in spite of difficult times, traumatic feelings and experiences. What interests me is how these people bring optimism out of hopeless situations. It is their strength which makes such characters magnetic and attracts the viewers to the screens. You have already confronted "Brothers" with the audience during the screenings at the Festivals in Locarno and in Warsaw. What is your impression of these meetings? Both in Locarno and in Warsaw, the audience became incredibly attached to the protagonists, experienced this film very strongly. For me, it was the proof that this minimalist form worked, as well as a clear sign that people need stories about universal feelings, experiences which are common to all. One person thanked me, saying that now they are less afraid of death. It is amazing how powerfully it worked, because in the film, there is no death. Looking at your documentary films, I try to describe you as an author of documentary film. I guess you are much closer to a "patient eye" than to staging or interfering in the reality you film. Your cinema are the films of waiting, observation, patience? For me, every film, documentary or feature film - though I use this division only for the needs of your question - begins with the need to position the camera in order to record the phenomenon of life. This life passes us by, and I have the need to keep it, but in such a way as to give it harmony. Yes, I think that it is this need for harmony which pushes me to position the camera, which looks patiently, seeks, and can be delighted. The interview was conducted by Daniel Stopa. SILVER EYE AWARD FOR "SNAILS" AND "CASA BLANCA"